A J.R.R. Tolkien fan since my earliest adolescence, I have only in the past year begun to read the notebooks his son Christopher published in the 1980s and ‘90s as the twelve-volume History of Middle-earth. They do not draw us into the great master’s enchanted realm as do The Hobbit, The Lord of the Rings, and most especially (for me at least) The Silmarillion. They do, however, help provide a window in the evolution of his middle-earth and its mythology. In the first book, his son included the great cosmological tales up to and including the flight of the Noldor where a great tribe of elves breaks off from their brethren living among the deities who would become the Valar. In the second, we see the first sketches of the stories which would become the three great tales of mortal men in the First Age of Middle-earth, Beren, Túrin, and Tuor—and through the son of that last man, the second from the Elder Days to marry an elf princess, of Eärendil and his voyage to the Undying West. That second book of “Lost Tales,” which I read this month, is no easy read–even for Tolkien geeks. The sentences are long, the words often archaic, the stories themselves often overwritten, and occasionally even convoluted. And yet, they give you incredible insight into the evolution of the master’s mythos. This volume also includes, as its last section, “The History of Eriol or Ælfwine and the End of the Tales.” Unlike the tales of the other men, no great revised version of this part made it into The Silmarillion. 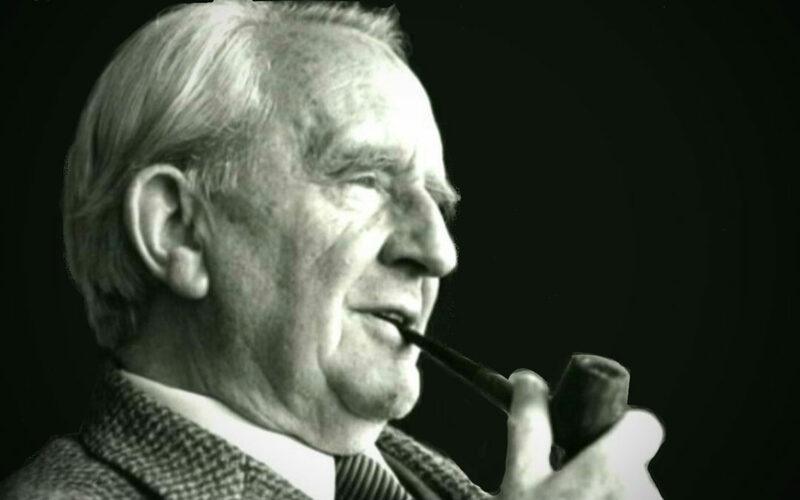 Those familiar with Tolkien’s biography will recognize it as a kind of “missing link” (if you will) between his Middle-earth and the birth in the second half of the First Millennium of the Common Era of England. Tolkien had long sought to craft a national mythology that he had found lacking in his homeland. I claim no more for this than that it seems to be to be the only way in which these disjecta membra can be set together into a comprehensive narrative scheme. It must be admitted even so that it requires some forcing of the evidence to secure apparent agreement…. Doubtless in these jottings my father was thinking with his pen, exploring independent narrative paths; one gets the impression of a ferment of ideas and possibilities rapidly displacing one another, from which no stable narrative core can be extracted. But, in this second book of “lost tales,” we do see a “stable narrative core” in each of the three aforementioned tales of mortal men from the Elder Days as well as for Eärendil the Mariner and for the Nauglamír (the dwarf-forged necklace referenced in The Silmarillion, referred to in this book as the Nauglafring). Even without that “narrative core,” the last story (albeit challenging to read) should engage Tolkien geeks. As his son writes, the various “’plots’, abandoned and doubtless forgotten… bear witness to truths of my father’s heart that he never abandoned.” Those notes, he adds, “were scribbled down in his [father’s] youth”. And these notes—as well as the more structured stories from Tolkien’s notebooks—show how early in his life the master mapped out the great story he had to tell. And they show another thing as well, that he had not yet found the voice with which he was to tell them.